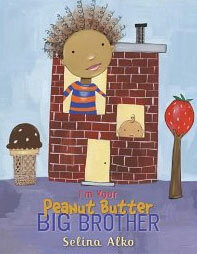 I'm Your Peanut Butter Big Brother by Selina Alko Interracially married, author/illustrator Selina Alko came up with the idea for this book while pregnant with her first child. 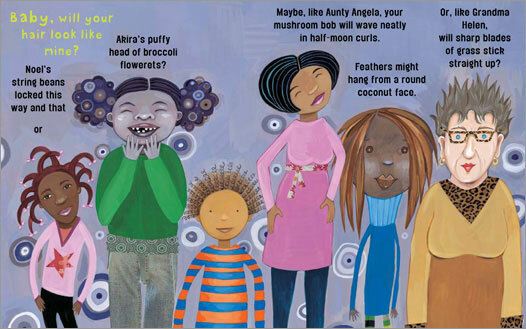 She wondered what the child might look like--and created a darling children's book that reflects the many possibilities. (from the book) Big Brother wonders whether the new baby will look like him. He blends from semisweet dark Daddy chocolate bar and strawberry cream Mama's milk. He's the baby's peanut butter big-brother-to-be. Will the baby's hair look like big brother's soft, crunchy billows of cotton candy, or Noel's string beans locked this way and that, or Akira's puffy head of broccoli flowerets? Will the baby's eyes match big brother's--hot cocoa footballs set wide apart--or will they be a perfect pair of pennies? 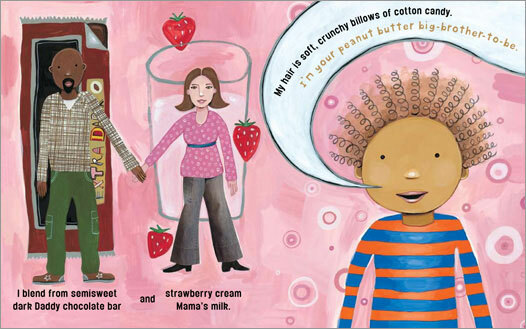 I LOVE, LOVE, LOVE the illustrations! This will be a favorite in our home for sure! Order here.